UPDATE: Preorders are being accepted now for both cameras, with the Panasonic’s S1, priced at $2,499 (B&H, Amazon) for the body only, and $3,399 (B&H, Amazon) when bundled with the 24-105 f/4 kit lens. The Panasonic S1R is $3,699 (B&H, Amazon) for the body only or $4,599 (B&H, Amazon) when bundled with a 24-105mm f/4 lens. Shipping April of 2019. 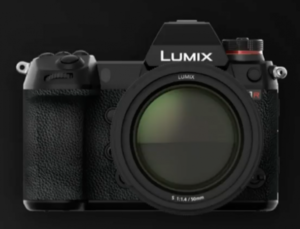 Panasonic made official their new S series line of 4k full frame mirrorless cameras today, and as expected, we got a high end Lumix S1R 47MP camera, and an entry level, consumer grade Lumix S1R with a 24MP sensor. And along the way, there were a few surprises. Yes, the S1R has 47MP Super 35mm full frame sensor designed and manufactured by Panasonic. Yes. It can shoot in 4K60p. And yes, it has a 51.6mm Leica L mount, developed as part of the L Mount Alliance with Sigma, Leica and Panasonic. The Panasonic S1 also has dual card slots, just as expected. But what we didn’t expect was the Panasonic would be going with one XQD card slot and one UHS-II card slot. The XQD standard is capable to writing up to 400 Mbps, eight times faster than the Panasonic GH5s. This tells me that Panasonic is really camera users to have high bit rate recording needs, like in 4k HDR video. It’s really huge that Panasonic is offering 4K/60p out of the gate, leaping over both Canon and Nikon, which are stuck shooting 4K in 30 fps, and Canon stuck even further by only shooting 4K in crop mode. 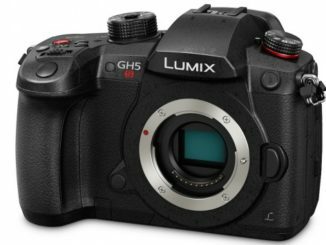 The Lumix S1 shoots full frame 4K at 60p. That’s huge for video shooters. Additionally, the S1 & S1R will be getting a firmware update later this year which will give you 4:2:2 10 bit 4k 30 internal for the S1 and 4K60p 4:2:2 with an external recorder. Both have unlimited recording times except for 4K60p. The entry level Lumix S1, is pretty much an S1R in a consumer package, with a lower end, 24MP version of the Super 35mm image sensor, but it can still recording 4K/60p. That’s a bold move for Panasonic, as I’m sure entry level users would have been happy with 4K/30, so it’s a nice treat to be able to move up a level straight out of the gate. Both cameras enjoy the same dual image stabilization feature, and will also support APS-C shooting, presumably with a crop mode. 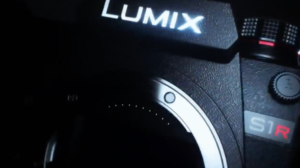 But Panasonic stopped short of indicating if the color science of the S1 series will be internal 4:2:2 10-bit recording. But you know it must, and it will likely have V-Log for the S1R, and maybe a paid upgrade for the S1. But that’s just speculation on my part. 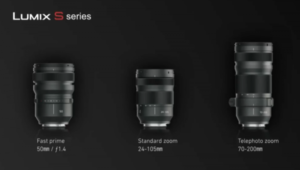 The L-Mount alliance, with Panasonic, Leica and Sigma in partnership, was also announced, and Panasonic says that the S1 series will launch with three Lumix L mount lenses: a 50 mm f/1.4 fixed-focus lens, a 24-105mm zoom lens, and a 70-200mm telephoto zoom lens. 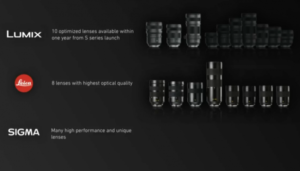 Moreover, Panasonic also says it plans to announce up to ten lenses by the time the cameras officially launch, with Leica putting out eight SL lenses, with a 35mm F2 and 50mm f2 the first installment on their lens roadmap. Sigma to add to the lens total as well. No word on pricing, just yet, but it is expected that the Panasonic Full frame cameras will be competitive with Sony’s price point. So somewhere between Nikon/Canon, and Sony. The S1 series will launch early in 2019, so I’m betting we hear more about it at CES. Now is it Super 35 or Full Frame? A Super 35 sensor is normally smaller than Full Frame.